These islands were planted in 2005 in conjunction with the Mayor’s Office and the Parks and Recreation Department of the City of Boston. 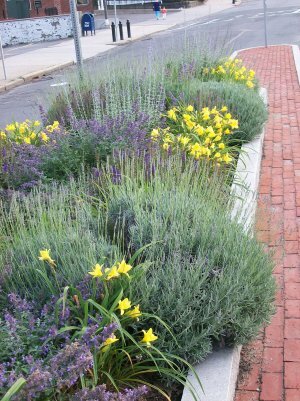 Plantings were chosen for drought tolerance and year-round interest. Traffic Islands at Corinth Street and Belgrade Ave.